Meridian is a village in Cayuga County, New York, with a population of about 350, located near the north town line of the Town of Cato, west of Syracuse, New York. The community was settled in 1804 and incorporated as a village in 1854. Michaels & Smolak’s office, located just south, in Auburn, is the law firm of choice of many Meridian residents. Recent clients from the Meridian area include a man who was playing softball when a player from the opposing team unnecessarily and violently ran into him, causing him to sustain a broken shin and ankle, which required surgery with plates and screws. In the personal injury and medical malpractice field, Meridian and all of Cayuga County are dominated by the Auburn law firm of Michaels & Smolak. Although there are many lawyers in the County, there is only one Cayuga County firm that limits its practice almost exclusively to this type of case. 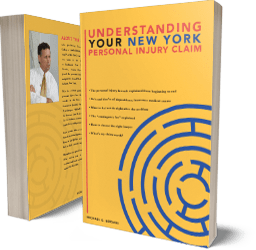 The firm’s stellar reputation in the field of accident and malpractice cases extends throughout Central New York. The firm also has offices in Syracuse and Liverpool. Directions to the Auburn law offices of Michaels & Smolak from Meridian can be found HERE.